This booklet, first published in 1998, is now in its 2nd Edition. It should be read before attempting to set up (or recheck the set up of) a turntable. Its step-by-step approach, used in conjunction with manufacturers’ instructions, should enable most people to obtain the best sound possible from the alignment of a turntable system. If the reader has any difficulties with sight or dexterity of fingers, perhaps a local hi-fi dealer or a friend would help with some of the tasks. The fundamental criterion of good vinyl reproduction is that the stylus tracks the groove of the record in such a way that the maximum amount of recorded information is extracted with the minimum amount of distortion being introduced. There are numerous influences at work which affect stylus tracking, some of them direct and others indirect. The main priority is to accurately align the cartridge in (not necessarily “with”) the headshell and this booklet gives guidance on how to achieve this and what to do next. 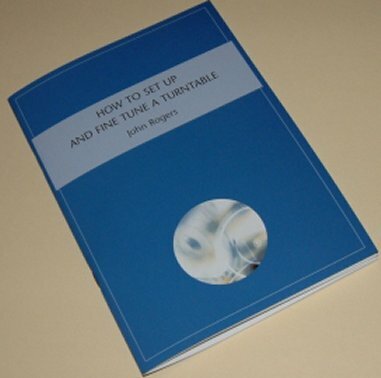 The author, John Rogers, thanks Max Townshend, Russ Andrews and the author’s co-designer of Ringmat, Denis Morecroft, for their assistance in preparing this booklet.